Mom's Gone Bronson! : Ozeri Scale, Just In Time For New Year! Disclaimer: I was provided with products for my honest opinions. Your views may differ from mine! Thank you! It is Christmas and everyone is thinking about those fun gifts that you can give and receive, but how about THIS! 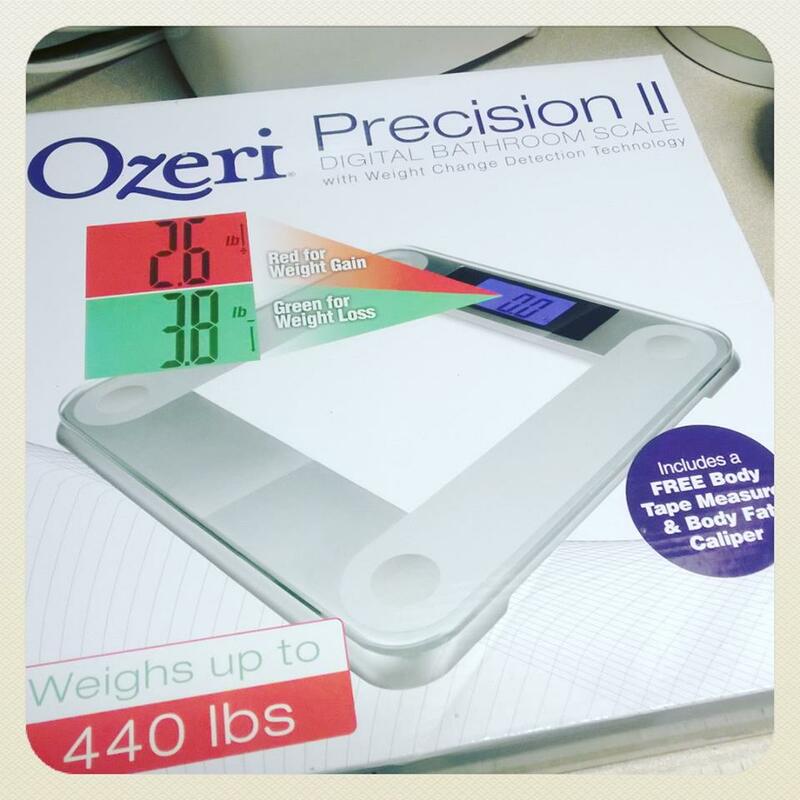 An Ozeri Precision II Digital Bathroom Scale! This scale weighs up to 440lbs and will save the last known weight in the system so you can see just how much you have gained or lost when you jump on the scale again the next time! I love the simple design and look of this scale and that it holds a lot of weight, but also that it came with a free body tape measure and a body fat calliper!! I have had Ozeri scales in the past but this is by far my favorite and it came just in time for the New Year, in which I plan to enter into an exercise regimen and will need this scale to keep track of any progress I might make while getting along! The scale comes with batteries and so I just had to pop those in and now the scale is sitting in my bathroom waiting for me! My weight is scary and I didn't like the number it read back to me, but next time I get on it I hope those numbers to have improved! Well worth gifting for those weight conscious who won't be offended, or as a gift to yourself to roll in the New Year! You can find the Ozeri Scale on Amazon, with Ozeri across social media, too! Merry Christmas and happy giving! !